Casino bonuses - good or bad? 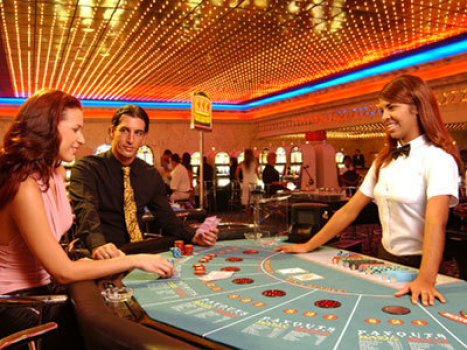 We`ve already talked about pitfalls concerning casino bonuses. In this article we`ll tell you about the most "harmless" bonuses and try to sort out if it`s worth accepting them at all. No deposit bonuses can be referred to as one of the most beneficial type of bonuses. They are hard to win back, and they tend to be small. However, to get them you don`t have to make a deposit. Also pay to attention to payment method bonuses, which are much easier to win back. Loyalty packages add points to the customer`s account, which can be exchanged for money. Cahsback bonuses are also easy to win back. They are credited to loyal customers who have suffered significant losses recently. Thus a casino is trying to encourage its returning players. The fact that you can`t cash in your money until you win back your bonuses makes a lot of gamblers refuse bonuses at all. How can you decide if bonuses are really worth it? Pragmatic players advise to calculate every bonus value using the following scheme. Let`s take a 100% deposit bonus to the value of $100. Let us suppose that you must wager it 20x (bonus + wager), i.e. make bets to the value of $4000 (bonus and deposit make $200, and this sum is multiplied by 20). Let us suppose that some slot with 4% house edge is the most advantageous game to win the money back, with 100% stakes being calculated for wagering requirements. It means that from every $1000 bet you lose $40 in average. If you make bets to the total value of $4000, you may lose $160. The lower the maximum bet is, the more it`s likely to happen so. Remember that you was credited a bonus of just $100. As you can see, this bonus is hardy beneficial for the gambler. These are just suppositions, while in practice you may be able to win this bonus back without any difficulty. Still, you should remember that this bonus doesn`t mean an advantage for you. The casino gets its edge from this bonus just like from any game. You should read bonus terms and conditions very carefully. Make sure you are not subject to any casino limits. Specify what amount of money must be won back and what games you can win back your money at. Find out if there are no other pitfalls and hidden clauses. Only after clarifying these issues you should agree to get casino bonuses.